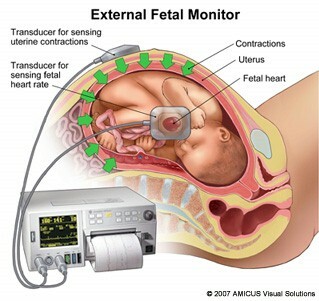 Non-Stress TestIt is non-invasive and involves monitoring of the baby’s heart rate through the use of an external monitor placed on your abdomen. 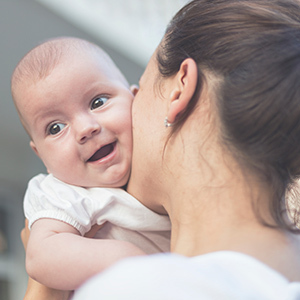 Accelerations (increases) in heart rate in response to fetal movements are an excellent sign that the baby is in good health and in no immediate danger. This is referred to as a "reactive" test. Lack of these accelerations ("non-reactive" test), however, should not be interpreted as a sign that the baby is in jeopardy. Babies have sleep cycles, or mothers may be taking medications, that prevent the test from being reactive.